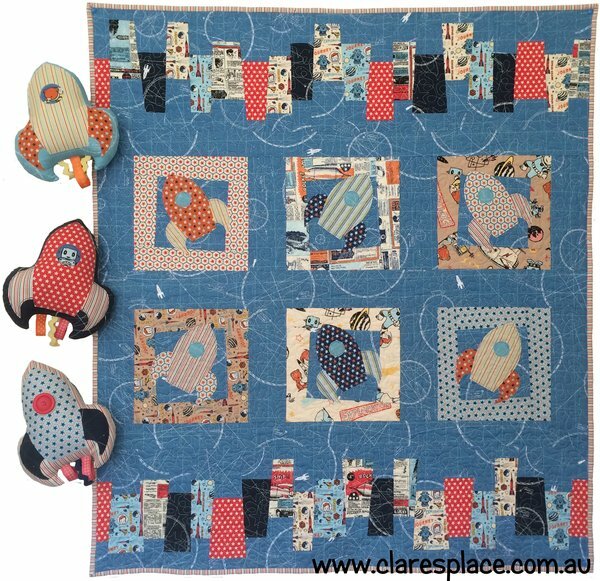 Send your little boys off into space with this cool quilt and matching softie! Blast Off is the perfect size to fit on a cot size bed and the simple modern piecing and raw edge applique not only looks fantastic, it is easy to do! Fabrics: Rocket Age by October Afternoon for Riley Blake Fabrics. Quilted: Sarah Fraser of Patchworks Plus. 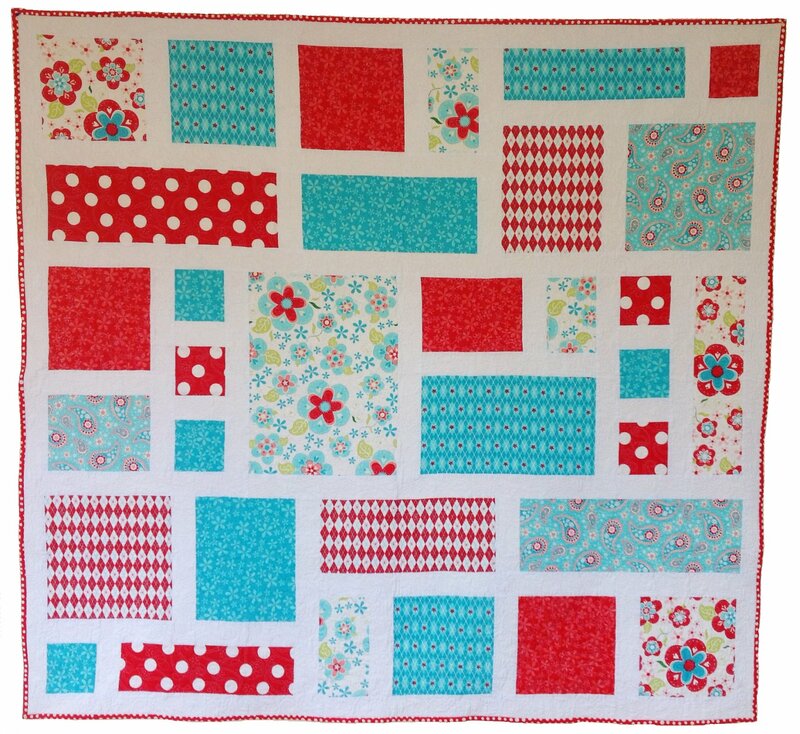 So sweet is a beginning quilters dream, with no challenging angles or intricate piecing. The blocks are large enough to showcase some of the fabulous large-scale prints or even story-book designs which would overpower a smaller pieced block. 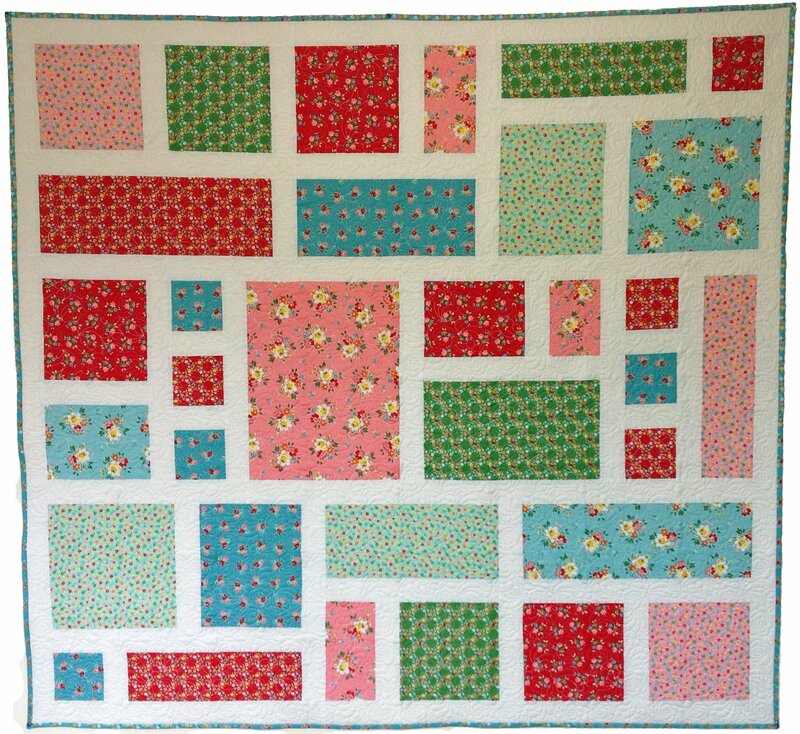 It is a great quilt to feature some treasured fat quarters from your stash or larger remnants from previous favourite projects. This quickly-made project is sure to be enjoyed for years to come. Fabrics: Right- Sugar and Spice by Amanda Herring for Riley Blake Designs. Below Left- Backyard Roses by Nadra Rigeway for Riley Blake Fabrics. 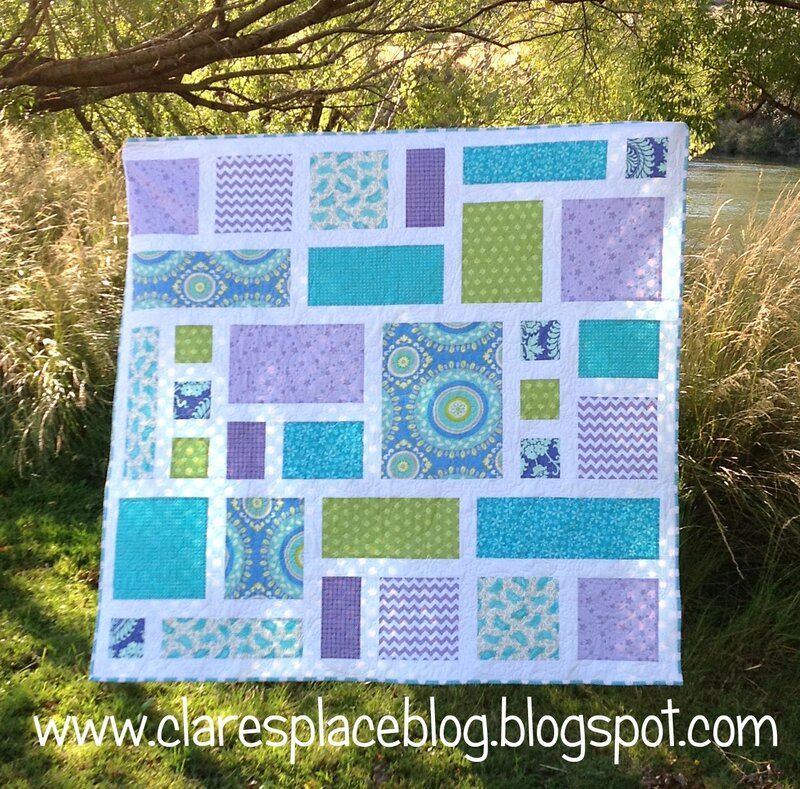 This quilt blue, purple and lime version was made from some favourite scrap fabrics.